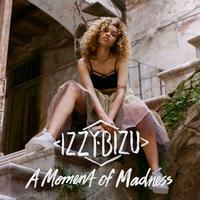 A Moment of Madness is the 2016 studio album by British singer/songwriter and BBC Sound of 2016 candidate Izzy Bizu. Born to an Ethiopian mother and English father, she grew up listening to Ella Fitzgerald, Betty Swan, Betty Wright and James Brown and draws on these influences alongside newer influences, Amy Winehouse and Adele to create a fusion of soul, funk, jazz and pop that sounds classic and brand spanking new all at once. Features the singles "Adam & Eve," "Give Me Love," and "White Tiger."